Mueller is not recommending any further indictments, DOJ sources tell Fox News. Special Counsel Robert Mueller. His work is done. The Special Counsel’s work is done. Finally. 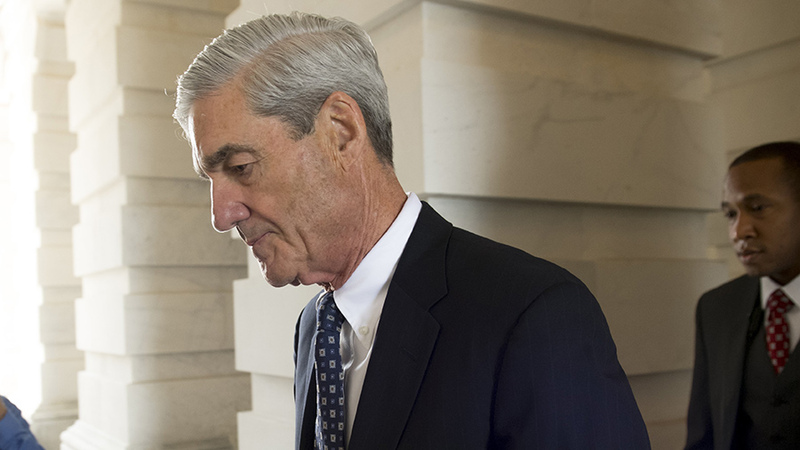 Robert Mueller has delivered his final report to Attorney General William Barr, Barr revealed Friday afternoon. Said Barr in a letter to Congress, “I may be in a position to advise you of the Special Counsel’s principal conclusions as soon as this weekend.” You can read Barr’s full letter here. The Special Counsel was created in the wake of FBI Director James Comey’s firing, ostensibly to look into allegations of Donald Trump colluding with Russia in the 2016 election. No evidence has emerged of that. None of the prosecutions that have resulted from the investigation even allege that. But are there other shoes to drop in the report? Washington will be on pins-and-needles. And let the true March Madness begin. However, Fox News is reporting Mueller is not recommending any further indictments. According to Press Secretary Sarah Sanders, the White House has not yet seen the report. None of the charges that have been filed by Mueller’s team have been connected to President Trump or his activities. However, 9 individuals, along with 13 Russian nationals and 12 Russian intelligence officers have been charged. Thus far there have been 8 convictions. Five of those are for lying to Federal agents. You can read more from the Washington Post about Mueller’s scorecard here. The convicted included a couple Trump associates. Another former Trump campaign adviser George Papadopoulos also pleaded guilty to lying to agents. Yesterday, The Stream dug into how Papadapoulos got entangled in a snare set out by those targeting the Trump campaign. Democratic candidates Cory Booker, Kristen Gillibrand and Kamala Harris are among the Democrats demanding the report be made public immediately. House Speaker Nancy Pelosi and Senate Minority Leader Chuck Schumer warned Barr that Trump should not be allowed to get a sneak peak at the report. Indeed, it is now up to Barr to determine whether to release the report or how much will be released. As for President Trump, he says he’s perfectly happy to see the report made public.